James Lacy Moore (1879-1949), who served as Mayor in the 1940s, lived at several Ray City addresses over the years. In 1910, J. 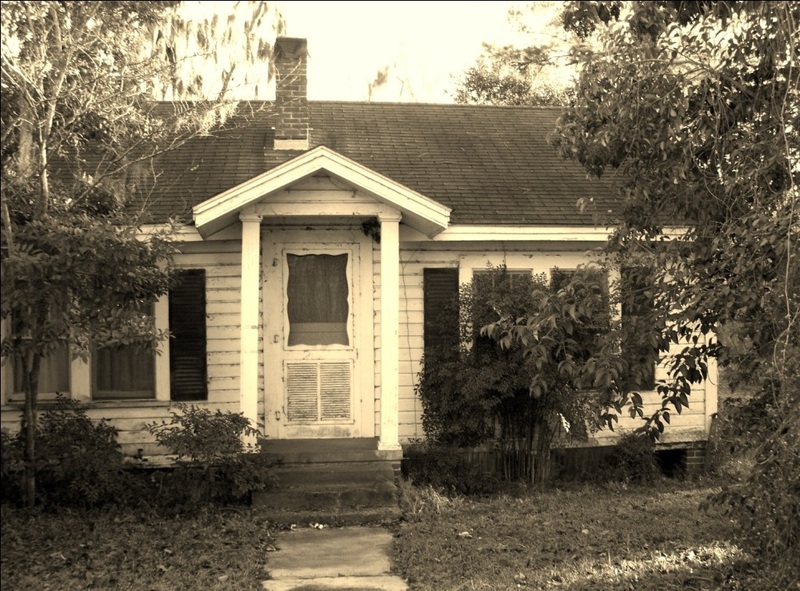 Lacy Moore and his family lived in a house on Jones Street. Their neighbors were Lorenzo D. Carter, and Benjamin Palmer. 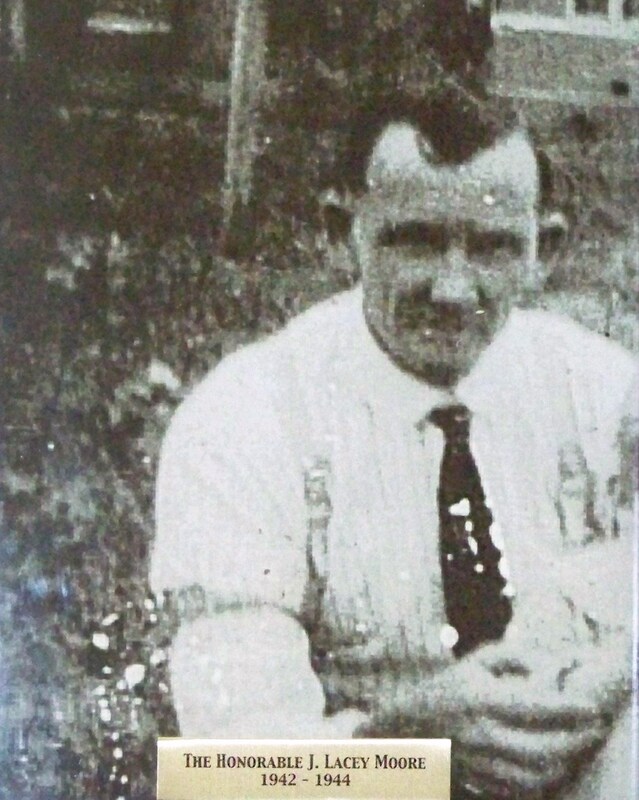 At the time he registered for the draft for World War I, Moore gave his permanent address as Rural Free Delivery Route 1 (RFD-1), Ray City, GA. By the time of the 1920 census, the Moores had a farm place on the Valdosta and Ray City Road next to the farm of his parents, James Burton Moore and Rachel Shaw Moore. Lacy Moore was farming there on his own account. In 1930, Lacy and Hattie Moore were living in town in Ray City; they owned a home valued at $2500. 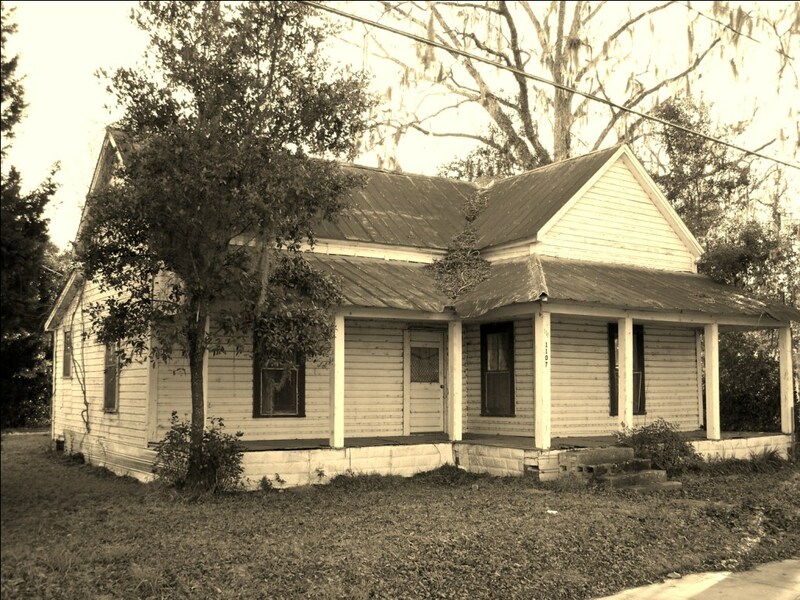 After the 1930s Lacy and Hattie Moore owned a Ray City home on the south side of Main Street between Martin Lane and Cat Creek. Their son, Ferris Moore, lived in the house next door to the west. To the east were the homes of June McGee and his mother Mary Jane Bostick McGee. Home of James Lacy Moore. <br> Main Street, Ray City, Georgia. James Lacy Moore (1879 – 1949) was born on October 6, 1879 in Berrien County, GA, the son of John Burton Moore and Rachel Shaw. At the age of 21 he married 28-year-old Harriet Augusta “Hattie” Swindle. Lacy and Hattie Moore made Ray City their lifelong home. Most of his life Lacy Moore worked on a farm, although in 1910 he was working as a meat market salesman. One of his farm hands was James Cornelius Lester. He was a short, slender man with blue eyes and dark hair. In 1942, J. Lacy Moore was elected Mayor of Ray City, Georgia.